Automating Scanning and Alerting for the (RBB) Rounded Bottom Breakout. This short video shows how easy it is to have (RBB) Auto Alerts at you finger tips. 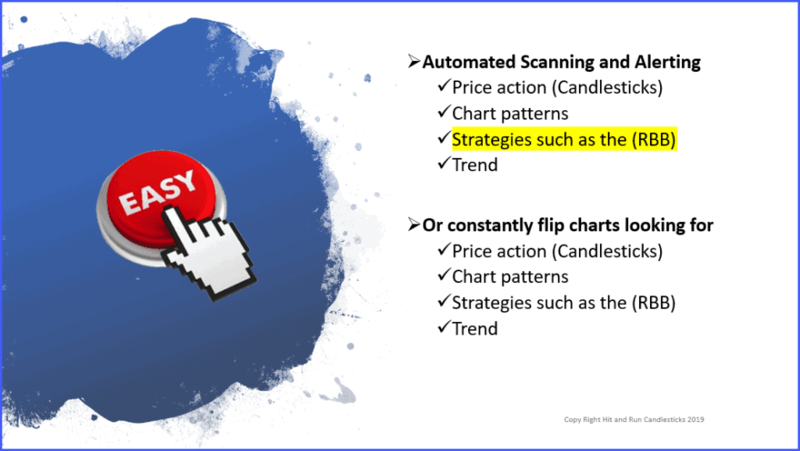 LTA also has auto alerts for Trends, Pop Out of The Box, Continuation patterns, Candlesticks, T-Line Bands and so much more.